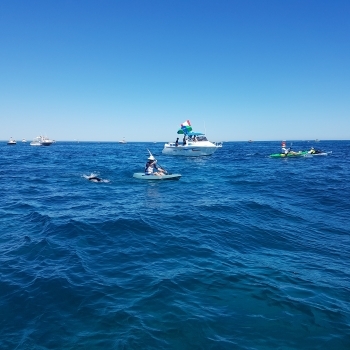 Congratulations to the PorterEng Paddlers who successfully completed the 2017 Rottnest Channel Swim. 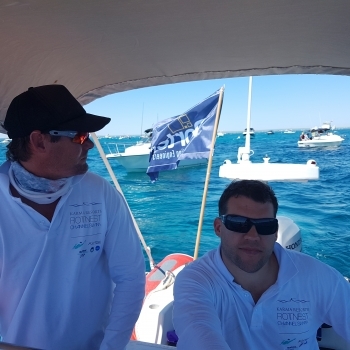 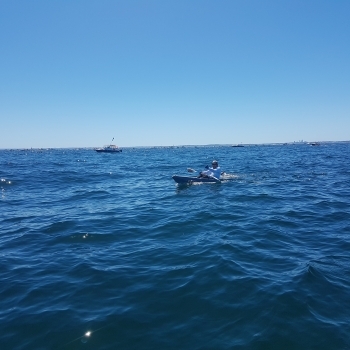 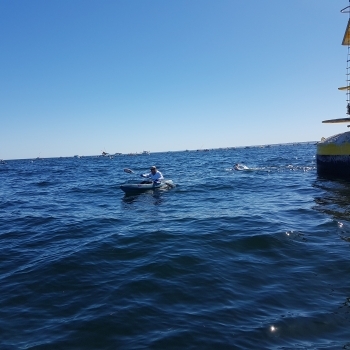 Stuart, Mike, Alysse and Shane started in the second last wave and finished just before 3:30pm to make the 19.7km crossing in 8 hours and 6 seconds. 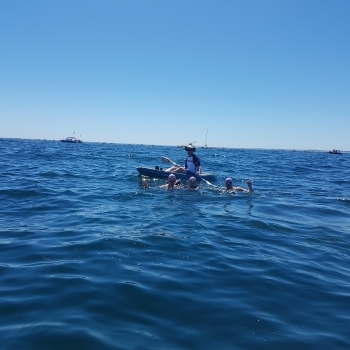 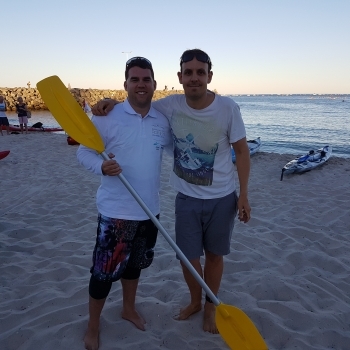 They battled the heat, sea sickness and a strong current but swam to Rottnest Island safely. 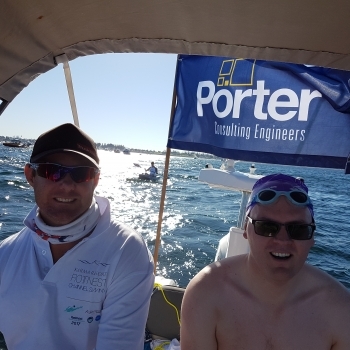 A big thanks to the support crew, our skipper Jason who kept everyone safe and the paddlers Jamie and Ian. 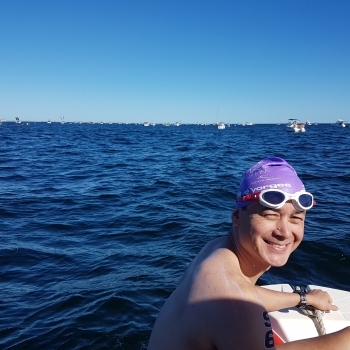 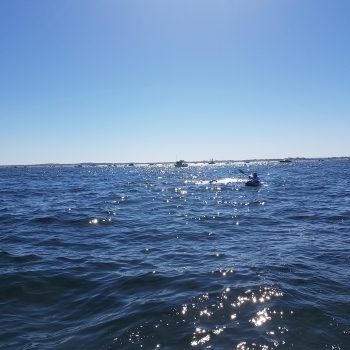 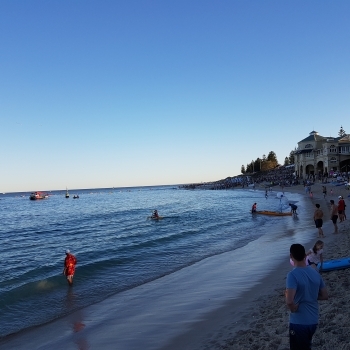 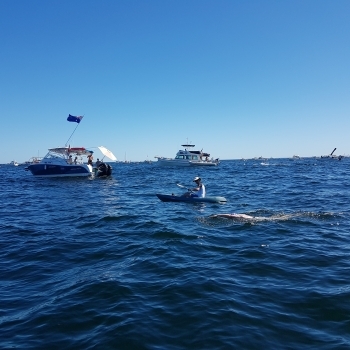 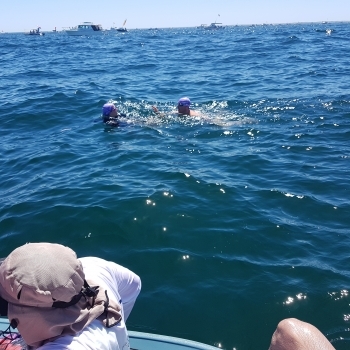 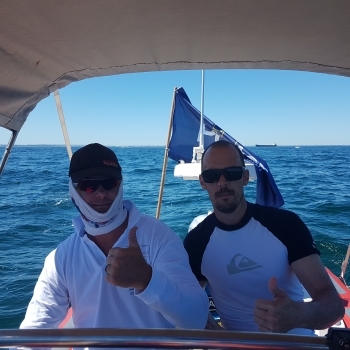 Once again, the Rottnest Channel Swim Association (RCSA) held a fantastic event and we extend congratulations to all of the other teams, duos and soloists.